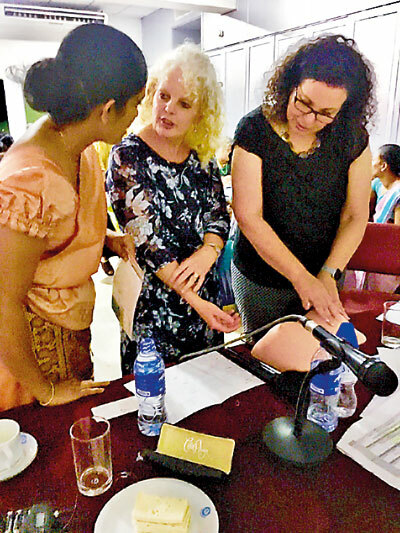 Ann Selle of the Botany Bay Zonta Club in Australia first became known to Sri Lankans when the Post Surgery Breast Cushion that she had developed for cancer patients was distributed to patients in Sri Lanka. Ann was back in town recently at the special invitation of Zonta Club II along with Breast Physician, Associate Professor Meaghan Brennan and Breastcare Nurse Educator and Clinical Nurse Consultant, Kim Kevin Ayres. They were here to conduct a workshop, led by Zontian Dr Sujatha Samarakoon and supported by several other prominent medical professionals – Dr Ajith de Silva, Senior Consultant Surgeon of the National Hospital of Sri Lanka, Dr Kanishka de Silva, Consultant Oncology Sugeon and Dr Parthipan Ariyathurai, Oncology Surgeon, National Cancer Institute Maharagama. Some 48 nurses from all nine provinces in the country representing oncology wards of hospitals around the island and from many Breast Clinics as well attended the workshop. The nurses had shed their uniforms in favour of pretty sarees and over the course of two days took part in energetic discussions, debates, role play, quizzes, demonstrations and myth busters. Mannequin material was also introduced so that participants could explore the valuable territory of early detection of breast cancer. The young Australian Breast Physician and the Nurse Educator used ingenuity and imagination to bring their subjects alive. Several of the Sri Lankan doctors presented thought provoking material allied to their specialist areas. It was well established that early detection is the key to diagnosis and management of breast pathology. One of the objectives of the National Cancer Control Programme (NCCP) is to educate and make women aware of self- examination of breasts. 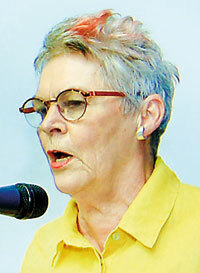 Some of the other areas of study ranged from the complexities of diagnosis to how to handle issues like Disclosure to Patients, Self-Examination, Pre-operative Counselling, Breast Conservation Surgery, Family counselling and allied territory that was so sensitive, yet informative, vastly expanding the knowledge base for the nurses. They also received a training manual and literature on breast cancer nursing for future reference. Dr Suraj Perera, Consultant Community Physician, National Cancer Control Programme, Dr Nayana de Alwis, Consultant Community Physician, National Cancer Control Programme, Dr Kanishka de Silva, Consultant, Onco Surgeon CIM, Dr Ajith de Silva, Senior Consultant Surgeon, Dr S. Samaraweera, Director NCCP Ministry of Health, Dr S. Hewage, Senior Registrar, National Cancer Control Programme were the senior specialists involved in the initiative.